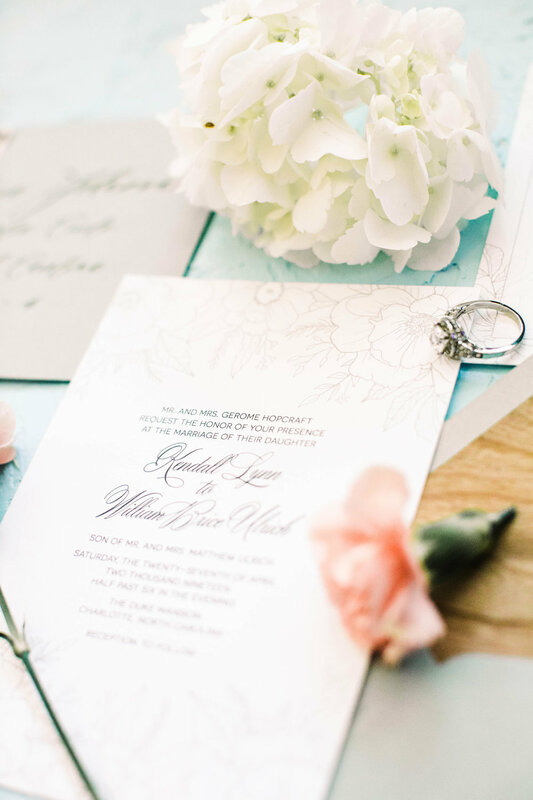 The Kendall suite features hand drawn floral elements including peonies and anemones. 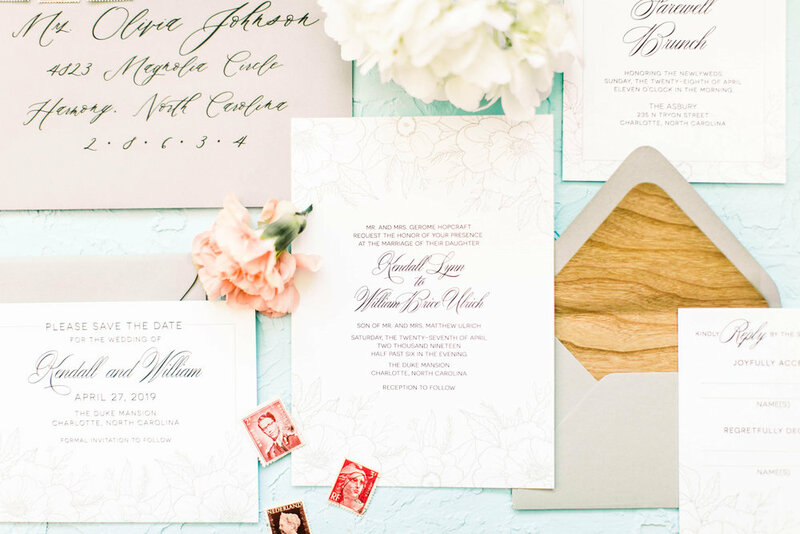 Featured here in soft neutral tones with grey envelopes adorned with rustic wooden envelope liners, the Kendall Suite can be perfect for any elegant affair. Also shown in dusty French blue tones with cobalt blue envelopes, all colors can easily be adjusted to fit your event. 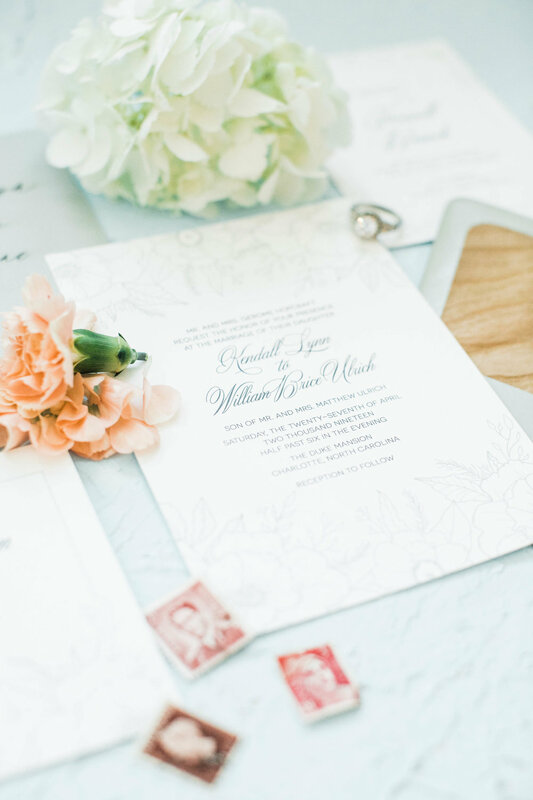 The Kendall suite can be upgraded to include pressed foil or letterpress to the text and/or flowers to elevate the elegance even further. Kendall comes standard on 120# white card stock with eggshell finish, which is our hand picked house paper stock. All fonts can easily be customized to fit your preferences.